Ten days ago I began conducting an experiment to test whether I could buy Twitter followers (you can find the base stats for the experiment here). Well, it worked, and I now have over 60,000 Twitter followers! It is really easy to buy Twitter followers. Twitter did not suspend or deactivate my account, so they must not be closely monitoring this kind of activity. (As noted above,) The Twitter fake follower assessment/calculation services are grossly inaccurate. All of my new followers are clearly bots (i.e. fake accounts). There are no eggs (i.e. 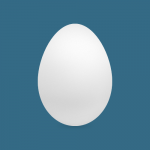 accounts with the default Twitter egg picture) as profile pictures, making the fake accounts seem more legitimate. Most of the fake accounts have a few random nonsense Tweets. Virtually all accounts have bizarre usernames made up of random letters and numbers (e.g. @henrybfcv). In real terms: nothing. There’s nothing I can really do with 60,000 Twitter followers. However, the process itself was interesting nonetheless. Some critics expressed their concern over my credibility and how it may impact my future employability. Conversely, another opined that “60k people can’t be wrong” in response to the query “Will I be taken more seriously?”. @adamjaffrey assuming they don’t read your blog also, it could add credibility. Obviously 60k people can’t be wrong. All jokes aside, I do agree with Zac Martin‘s warning (to a degree) that first impressions count, and having bought 60,000 Twitter followers might hurt that first impression. However, it’s not like I’ve been keeping this a secret to try and get a leg up in my job search. The motive behind this experiment (a word which I’ve used all along) was to test whether I could buy Twitter followers and what impact that may have. I have been open and transparent throughout, and those who are interested can read my blog for a full explanation. The most popular marketing student ever. 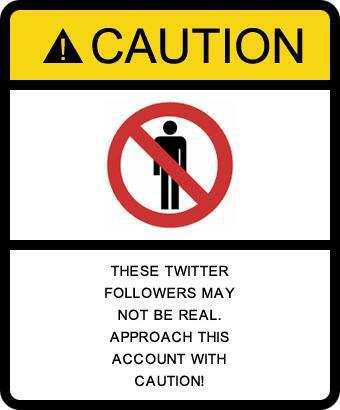 Warning sign created using Warning Sign Generator. What a great experiment. To be honest I think if anything it exemplifies your ability to think creatively as well as your passion for marketing. Like you mentioned, the fact you have been honest throughout the whole process only adds to your credibility. Shouldn’t businesses be looking for innovative thinking and slightly risk-taking employees. Just my thoughts! I agree, so long as the risk-taking is within certain boundaries. Risk isn’t always bad. Check out Seth Godin’s thoughts on risk, fear and worry. Hey Adam, I’ve found your experiment very interesting and I’m still bouncing back and forth in deciding whether it was beneficial or inconvenient. In support of the idea, I think it was original and definitely provided you with some interesting content to blog about. I agree with Bridget that it makes you stand out from the crowd and if an employer understood your intentions and the approach you were taking , it would interest them more than putting them off. In fact, I think employers look for people with a unique approach who see opportunities where others haven’t yet. On the other hand, I have to admit I am curious to see how this will play out in the long run. I think that you may have eliminated a small area of your “target audience”. There are going to be a few people who are interested in you either professionally or socially, who will check you out to attain a first impression. Unfortunately I don’t think they will bother doing their homework and when they see your follower count they may jump to conclusions and judge you based on those. Overall, I like what you did and I think that it shows initiative and creativity. At the end of the day if you don’t like the consequences you can create a new account, you can explain your followers in your “about me blurb” and/or you can make sure your account isn’t linked to your LinkedIn etc. Looking forward to hearing how this all plays out! Thanks for the kudos, Janine. I hope I can parlay this experience (and others like it) into useful skills I can use in other areas of life. Nonetheless though, this experiment has generated interest from many people, which in effect is helping me to build my personal brand. What do you mean by “eliminated a small area of your “target audience””? Do you mean that some people will be turned off by an illegitimate Twitter follower count and so I lose an opportunity to connect with those people? I guess though, in the end, you can’t ever please everybody. And when you stick your neck out and try new things there will always be those who criticise you. But, that’s all part of the journey. Impressive post, and nice to see a balanced opinion. Hey Josh, thanks for checking out my blog! Haha interesting experiment. Good on you for giving it a go. Thank you for your kind words, Sammy!